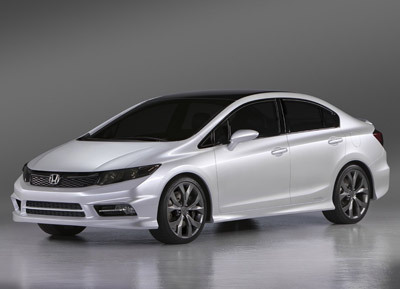 At the 2011 North American International Auto Show Honda took the covers off two concept vehicles which are designed to preview the next generation US-spec Civic. 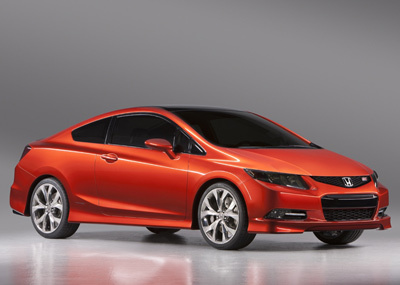 The Honda Civic Si Concept coupe and Civic Concept sedan are designed to lend a more substantial, high-energy appearance to the Civic model for 2012. The exterior styling of both Civic concept models feature clean lines, steeply raked windshields, wide stances and distinctive character lines along the profile. 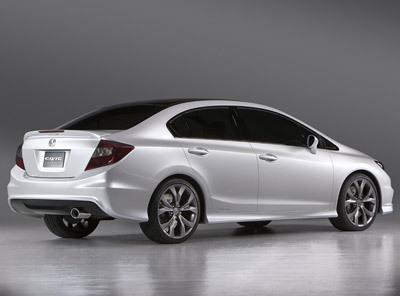 The Civic Concept sedan has a slightly more grown-up presence than the Coupe. 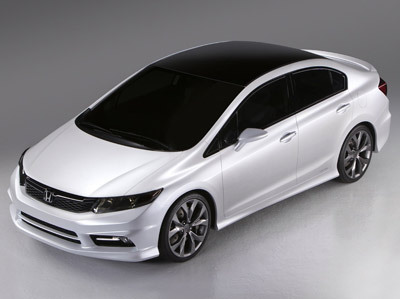 The Civic Si Concept coupe has a sporty, aggressive look which is enhanced by a more angular front fascia, mesh grille and a tapered rear roofline that flows smoothly into the trunk. 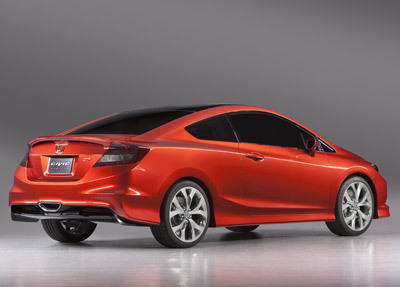 The Civic Si Concept coupe is exclusively equipped with a rear air diffuser, a center-mounted exhaust outlet and a rear deck lid spoiler with dual vents. 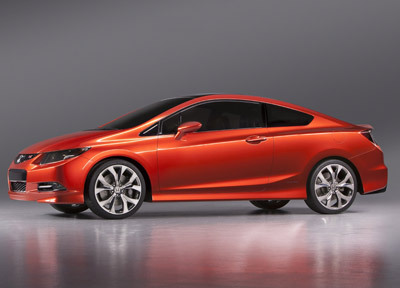 Each concept model is fitted with 19-inch machined alloy wheels. 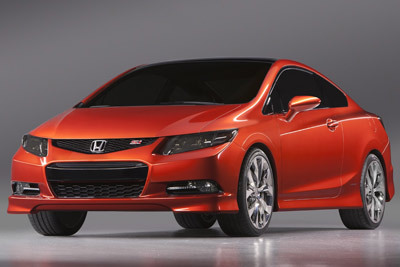 The 2012 Civic is the first U.S. Honda model to employ Eco Assist technology in a gasoline-only powered vehicle. Additionally the Civic's family of engines with "intelligent" Variable Valve Timing and Lift Electronic Control (i-VTEC) technology will become even more fuel efficient for 2012. The upcoming Civic Hybrid offers the latest generation of the compact and lightweight Integrated Motor Assist gasoline-electric hybrid system and features the first application of a lithium-ion battery in a Honda hybrid.